The Hollywood Reporter has brought word that days after the closure of the Disney/Fox merger, the local network has handed out renewals to its hit action procedural 9-1-1 and medical drama The Resident for third seasons. Both series have proven to be hits for the now independent network, with 911 scoring rave reviews from critics in its second season and strong ratings followed by The Resident earning very positive reviews from audiences and continued strong ratings, delivering a 24 percent uptick in ratings for their respective Monday night timeslots from last year’s shows in the same slots. 9-1-1 is a fast-paced exploration into the lives and careers of first responders — cops, paramedics, firefighters — the people who put their lives on the line to save others. The critically acclaimed hit drama. The series is based on the real-life, high-pressure experiences of emergency response providers who are thrust into heart-stopping situations that are equal parts unpredictable, intense and uplifting. These emergency responders must try to balance saving those who are at their most vulnerable with solving the problems in their own lives. 911 is co-created and executive produced by Ryan Murphy alongside Brad Falchuck and Tim Minear who serves as showrunner. Angela Bassett, Peter Krause, Oliver Stark, Aisha Hinds, Kenneth Choi, and Rockmond Dunbar star alongside series newcomer Jennifer Love Hewitt. The Resident is a powerful medical drama focusing on the final years of a young doctor’s training that rips back the curtain to reveal the truth of what really happens, both good and bad, in hospitals across the country. Starring Matt Czuchry (The Good Wife), Emily VanCamp (Revenge), Manish Dayal (Halt and Catch Fire), Moran Atias (24: Legacy), Merrin Dungey (Big Little Lies) and Shaunette Renée Wilson (Billions) with Melina Kanakaredes (CSI: NY, Providence) and Bruce Greenwood (The People v. O.J. Simpson: American Crime Story, Mad Men), the series’ executive producers include Todd Harthan (Rosewood), Amy Holden Jones (Mystic Pizza, Indecent Proposal), Rob Corn (Grey’s Anatomy), Antoine Fuqua (Southpaw, Training Day), David Boorstein (Level 26: Dark Revelations), Oly Obst (The Mick, Ghosted) and Phillip Noyce (Patriot Games, The Bone Collector), who also directed the pilot. The new renewals, which mark the first of the live-action series to get renewals, come shortly after the merger in which the newly independent Fox worked hard to acquire all of its original series from Disney/20th Century TV, some of which are still being worked out between the two studios. Fox recently renewed its long-running animated hits The Simpsons, Bob’s Burgers and Family Guy to new seasons, but given it was prior to the Disney deal, their futures are unclear. 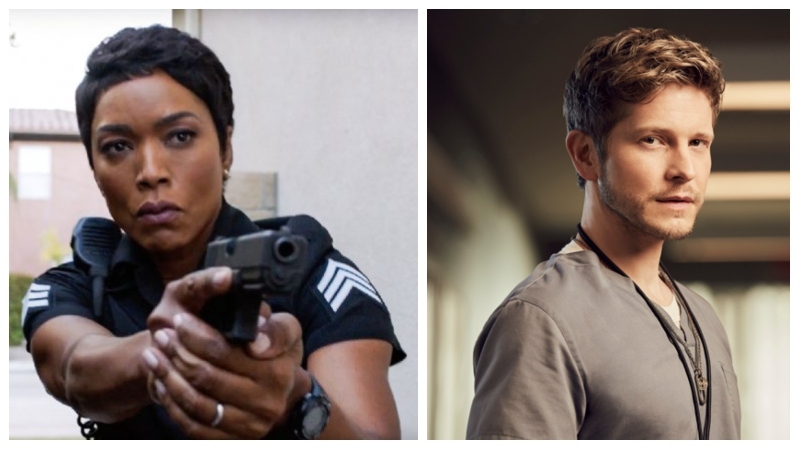 New episodes of 911 and The Resident can be watched on Fox, Fox Now and Hulu, with the debut seasons currently available to stream on the latter service.